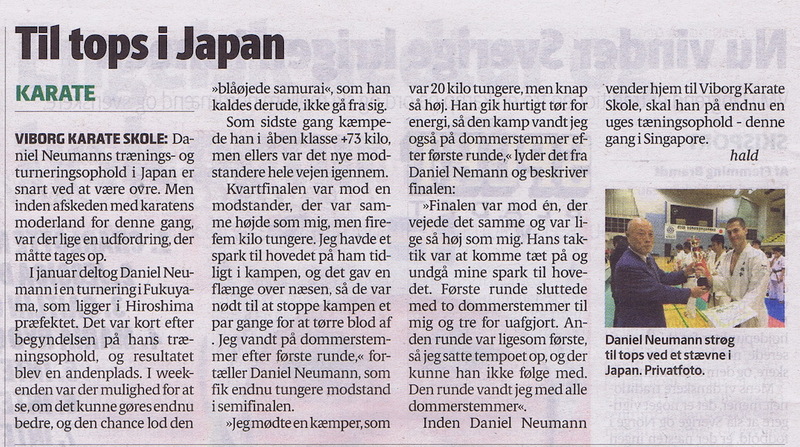 Klippet er en del af et 45 minutters nyhedsindslag på Japansk TV. 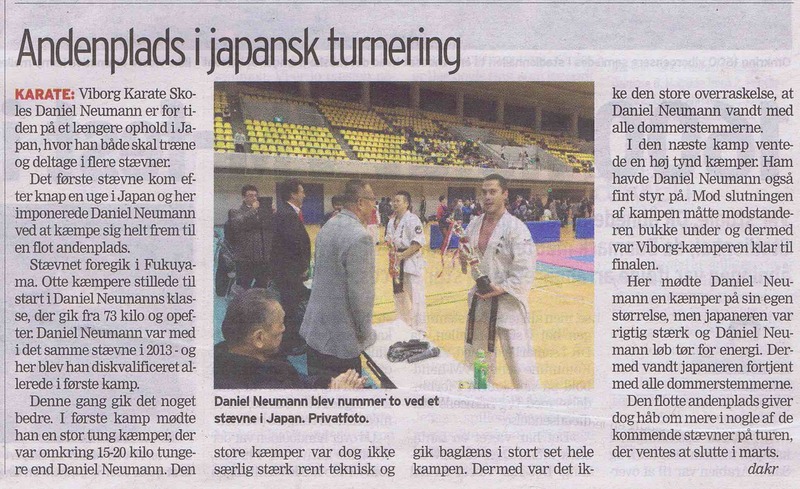 Stævnet blev afviklet d. 23. september 2015. 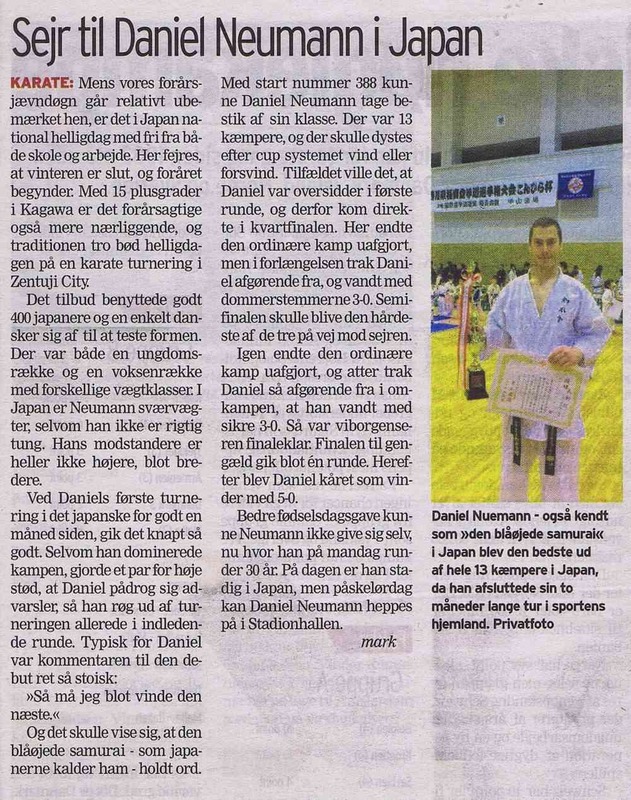 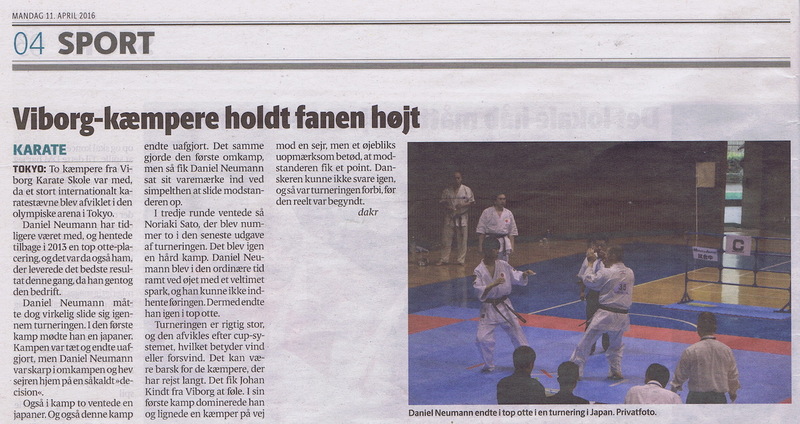 Here you can see a video of Daniel Neumann, where he participates in Global Point&K.O. 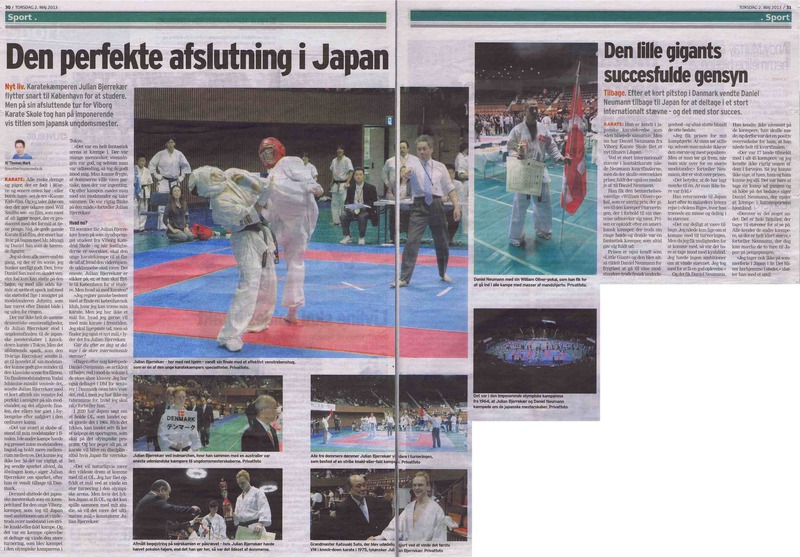 championship in contact karate held in the Olympic Arena the 28th of April 2013 in Tokyo, Japan. 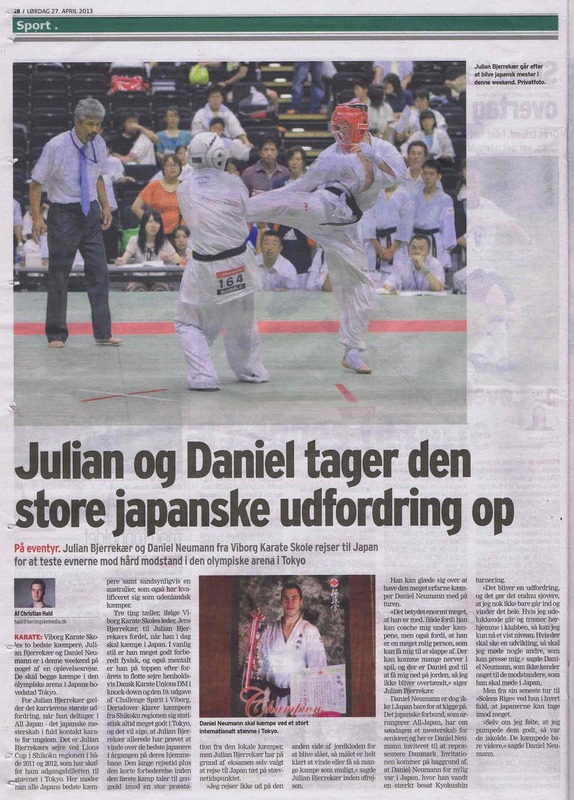 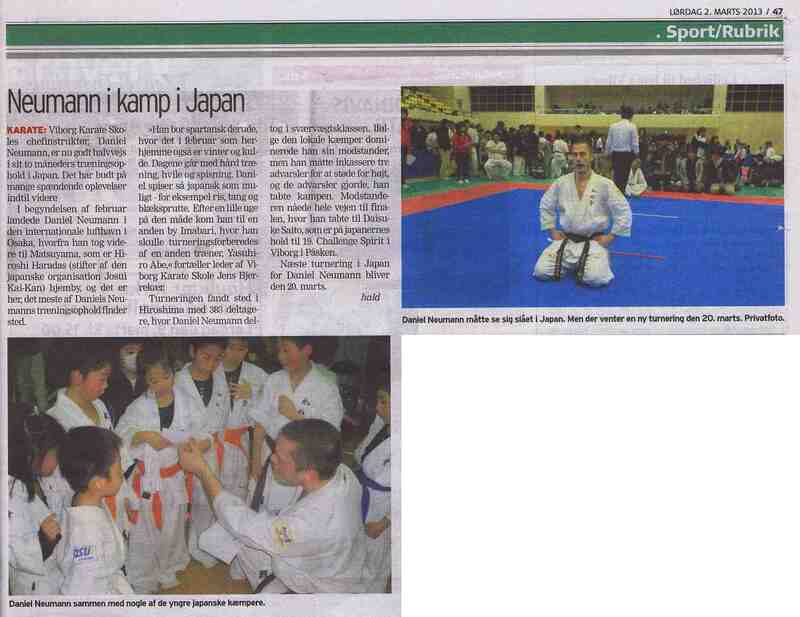 Here you can see a video of sempai Julian Bjerrekaer, where he participates in and wins the Japanese championship for youth in contact karate held in the Olympic Arena the 27th of April 2013 in Tokyo, Japan.